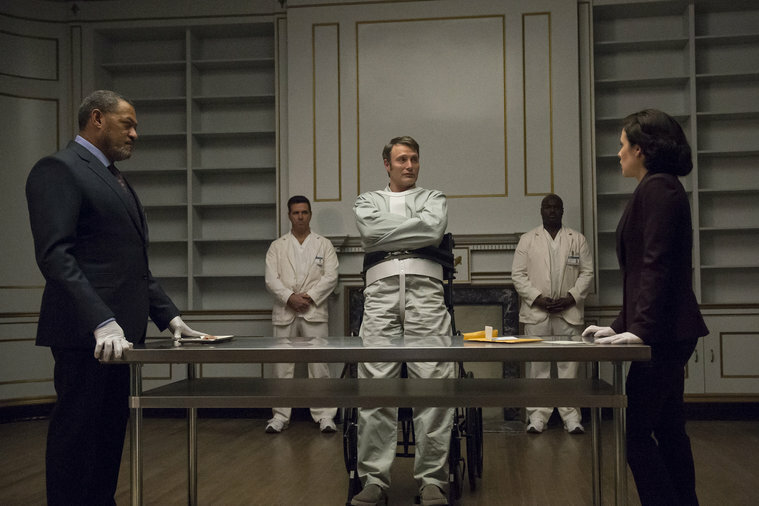 NBC’s Hannibal is almost at an end. 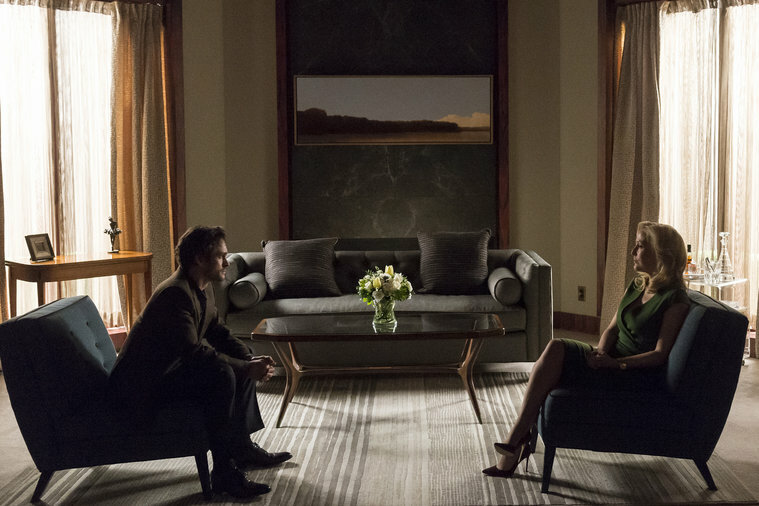 The episode opens with Will Graham seeing Bedelia Du Maurier for therapy which is probably a terrible idea. Will keeps having visions of the Red Dragon victims and of his wife Molly as one of them. In the session Will straight up asks if Hannibal loves him which has been obvious to the audience for a long time. But Bedelia asks Will to confront if he feels the same way. They also talk about what Hannibal wants from them. In a way sending the Red Dragon to kill Will’s family was a way to force him to come back to Hannibal. As long as Hannibal loves Will Graham everyone around him will be in danger. Bedelia however knows she is not in any danger because if Hannibal is going to kill her he will do it by his own hand so that he can savor and devour her. So as long as Hannibal remains locked away Bedelia is confident that she is fine. Now that they know a little more about the Red Dragon everyone decides its time to set a trap for him. They decide to use Freddy Lounds to insult the Red Dragon and draw him out. Alana Bloom refuses to take direct part in the plan but volunteers Dr. Frederick Chilton to be their psychological expert. 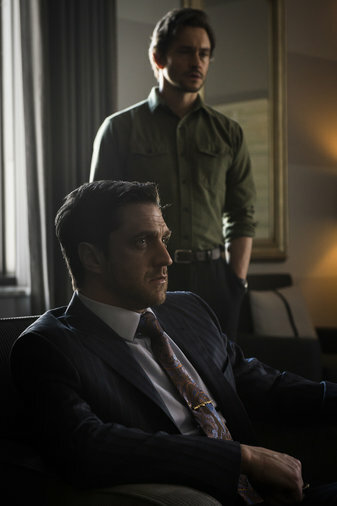 Will and Chilton claim the Red Dragon, or rather the Tooth Fairy in this case, is an impotent pervert and a bunch of other stuff then take a picture together for the article. The whole plan hinges on the assumption that the Red Dragon will be so angry that he will go after Will Graham. This proves to be a mistake. Instead it is Chilton that suffers the consequences. He gets kidnapped and taken to Francis Dolarhyde’s house where it looks like he is glued to a wheelchair. Despite being in such a horrifying situation Chilton tries not to completely freak out and even appeals to the Red Dragon’s vanity in a bid to survive. But then the terror gets interrupted when Reba shows up at the house. Reba wants Francis to know that she still cares about him but he has other things on his mind at the moment. Once she is gone he starts showing Chilton a slideshow of the William Blake painting, his victims, and other things related to his delusions. For a minute it seems like Chilton may get to walk away from this encounter unharmed but first he has to record a message for the dragon. Once the recording is done, well then things take a turn. Francis puts on his dragon teeth and bites off Chilton’s lips. Then he sets Chilton on fire at the place they were going to set the original trap. As I understand it in the book it was Freddy Lounds who suffered this fate but given how they have changed up some of the events and character for the show it makes more sense that Chilton ended up there instead. Also it might have been harder for them to get away with depicting that kind of graphic violence being committed against a woman, at least on television. So Chilton’s lips get mailed to Hannibal, who eats one of them. Now everyone has to confront that in the back of their minds they all knew this might happen. There was a chance that the Red Dragon would focus on someone besides Will and they all made sure that Chilton was at the front to act as a shield for them. As Bedelia says mirroring Hannibal’s words from earlier in the season, “That’s participation.” But once again Chilton has survived although he is now scarred more than ever before. He knows that Will set him up but as the times before he recognized it too late. And at the end of the episode Francis kidnaps Reba. She tries to keep her cool and not aggravate him because know she understands that he is completely crazy. Then he reveals to her that he is the Red Dragon. This episode was pretty tense at times. The next episode will be the last. I will do my best to get it out on time.